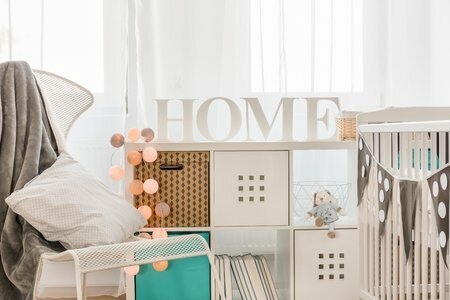 If you are seeking extra storage opportunities in your home, but do not know where exactly to begin looking, we have gathered five storage spaces you have probably been overlooking. Let’s take a look! If you are running out of space in your bedroom, consider the headboard as a storage opportunity. Headboards are often a missed opportunity for most homeowners. Different headboard designs allow for multifunction storage compartments. Using these headboards can grant you the extra room you may need in your bedroom. Plus, you can even design and build your own with Do-It-Yourself tutorials available online. Hanging storage compartments from your ceiling is another excellent way to free up space. Place items up there so that you do not need items laying around all the time or blocking valuable flooring space. You can store a wide variety of odds and ends up there and keep it low-profile, so it does not take up much of your valuable room space. Underneath your washer and dryer may be another opportunity, you have overlooked. You can raise your washer and dryer off the floor and put storage cabinets or drawers beneath them. This can be helpful for storing towels or clean clothes and have them conveniently right below the washing machine. If you have different doors in your home that primarily stay open, consider them as another opportunity for storage. Step ladders, brooms, and dustpans can be tucked away behind a mudrooms door and stored for later. This is a great spot to keep your quick-to-get-to house cleaning supplies and maintenance tools. Also, consider getting a door hanger with baskets to keep your cleaning supply in as well. Your cabinet doors can also take doors hangers made for them. This is great for tucking away spices and canned food in your kitchen. These low-profile hangers are affordable and can help add more storage where needed. They even have some neat, handy ones with chalkboards for recipes and hooks for your measuring cups and spoons. We hope you found these five storage ideas useful. Be sure to check back weekly for more expert tips and tricks. Thanks for reading!